The Boholano are indigenous people of the island of Bohol in the center of the Philippine archipelago. 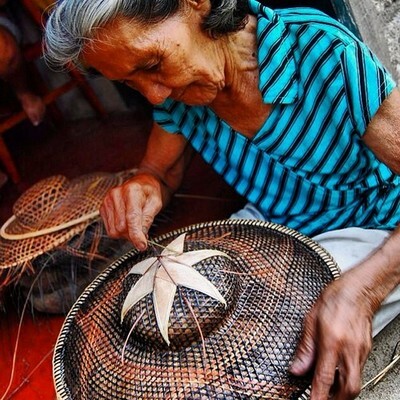 Like other small islands of the Philippines, Bohol is different by uniqueness of traditional culture, and so there's no surprise that there is a variant of a round straw hat, common in hundreds of variations throughout Southeast Asia. 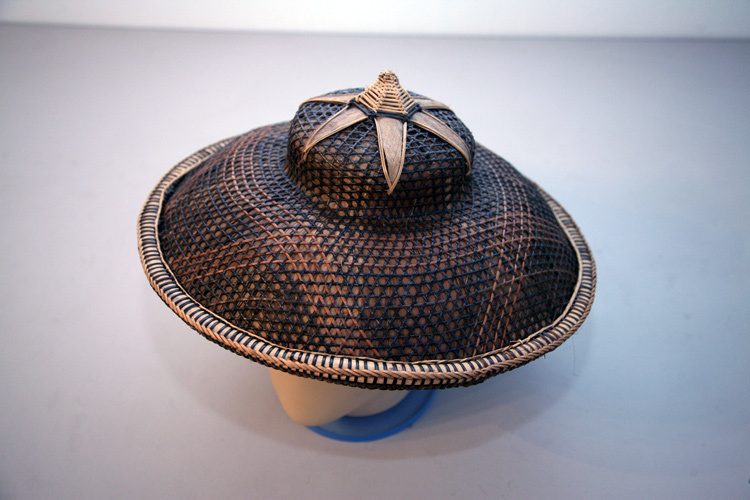 In this case, it is a neat crisscross weaving of reed, the low crown with a conical tip and brims bent downwards, indicating the severity of the rainy season in the country. 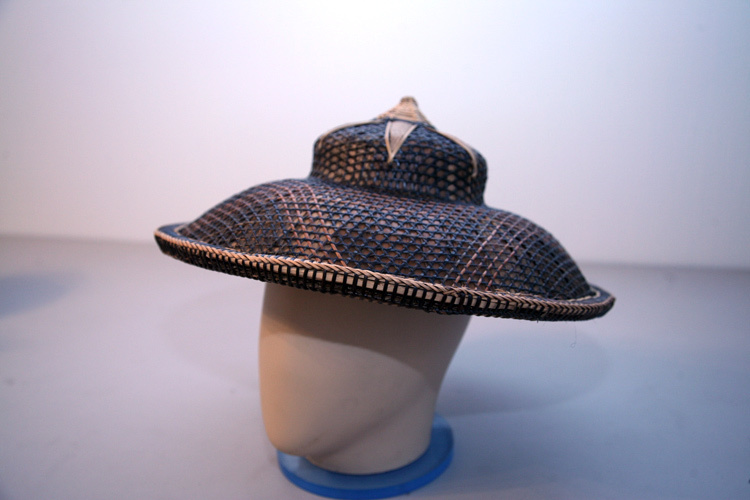 Being a hats collector, I could notice the correlation: in the sunny countries the brims of hats are always straight or curved upwards, while in the rainy countries the brims bend downwards; in temperate latitudes, the brims are always much shorter than in the tropics.